We present here a sticker album released by Futbol Para Todos (Industria Argentina) about the Torneo Inicial (Copa Evita Capitana) of the Argentinian Primera Division for the season 2012/2013. As the previous editions, the album includes all the 20 teams of the Primera Division with a variable number of stickers per team. At the end of the album there are also four teams of the Second Division: Independiente Rivadavia, Instituto Cordoba, Rosario Central, and Gimnasia La Plata. 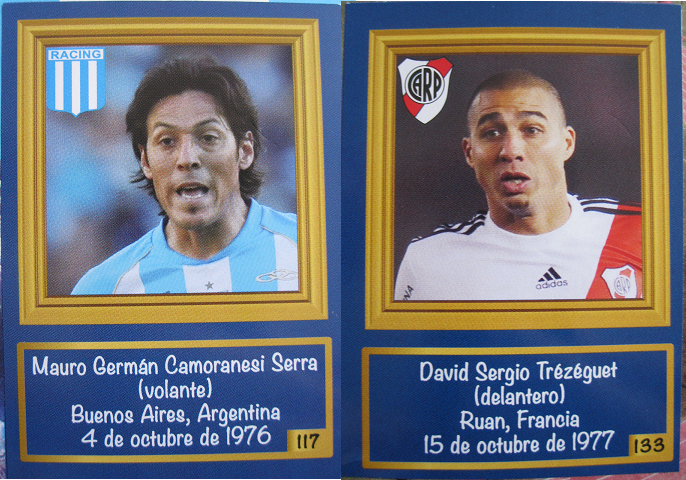 The album opens with the calendar on the left and the first team on the right page, Club Atletico All Boys. Each sticker includes a photo of the player in a yellow frame and underneath a box with player details (full name, place and date of birth). This album includes only stickers of players and no club badges, stadium or team photo. The background of each team page is divided in two parts. The upper part has the colours of the team and the lower part shows a photo of the club stadium.